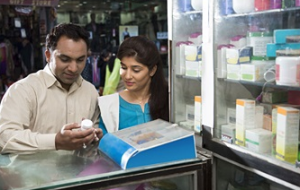 The acquisition would be in the form of purchase of the business undertaking, on a slump sale basis and comprises of 320 pharmacy stores, at an overall consideration not exceeding Rs 146 crore. The transaction would be subject to completion of due diligence and other statutory formalities. This acquisition will further strengthen Apollo Pharmacy’s leadership position in the industry. The addition of 320 stores are in existing core geographies where Apollo Pharmacy has a strong market presence and further consolidate its presence as a significant player in this region. Apollo Pharmacy plans to leverage its existing backend infrastructure to drive economies of scale, thereby accelerating profitability for these stores. This will also create an opportunity to increase the sales of Apollo private label products.